Last week President Trump made an unexpected intervention in the economic affairs of Central Asia, one of the world’s more closed and less understood geopolitical regions. The US President possibly shares his Turkmen counterpart’s penchant for big wins, vanity projects and high-visibility infrastructure projects, and perhaps in President Berdimuhammedov he is able to see a like mind. 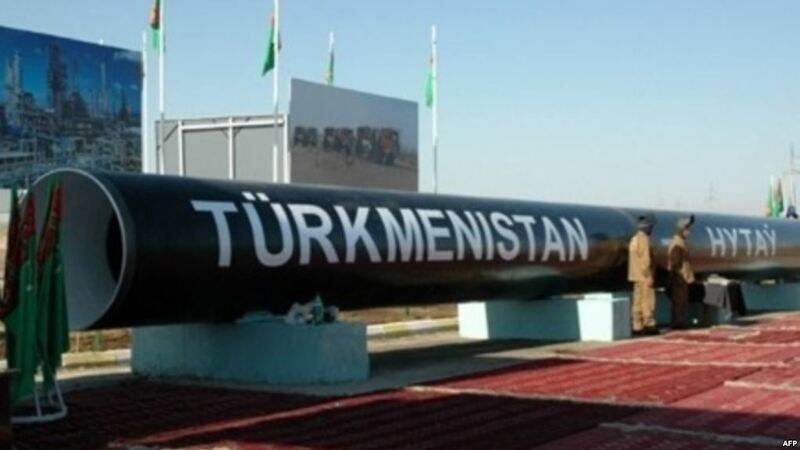 Turkmenistan has been focusing much of its economic development strategy in the so-called Trans-Caspian pipeline, which aims to circumvent Russian control of gas supplies by linking Turkmenistan, Kazakhstan, Azerbaijan and Afghanistan with Europe; it is designed to carry 30 billion cubic tons of natural gas and eliminate the dependency of the region on Russian goodwill. “I hope that Turkmenistan will be able to take advantage of new gas export opportunities to the West in connection with the recent determination of the legal status of the Caspian Sea”, Trump said. However, the grand project may be turning into something of a lame duck. 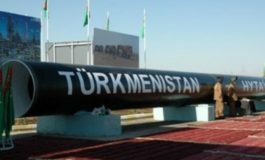 In February 2018 the CEO of the TAPI Pipeline Company, the contractor responsible for construction of the pipeline, declared: “We have completed our work in Turkmenistan and now we move to Afghanistan”; he hopes that construction of the entire line will be complete by the end of 2019, and the symbolic completion of the Turkmen stage was marked in a ceremony at the Afghan border. In addition to deep security considerations (the Taliban have already declared their intention to attack the line), the finances of the project look to outsiders as though they may be in murky waters. In fact, it may well be that Afghan insurgents have nothing to attack. Confusingly for international observers, the official state news agency TDH reported that 175 wagons carrying 4,956 metres of pipe were still arriving in Turkmenistan from Saudi Arabia, the supplier country, fully eight months after the date of reported completion. State sources could only say that “for the time being the pipes are being delivered to construction sites and are being assembled”. Suspiciously, no evidence has emerged since the February “completion” date of any work at all on the Afghan side of the border, and no photographic evidence exists except of unassembled segments. The numbers do not stack up either: in a summit in November of the International Gas and Oil conference in Abu Dhabi, TAPI’s CEO claimed that the net cost of the project would come in at $7 billion, far below the original estimate of $10 million. What could be the explanation for this sudden drop in expenditure? 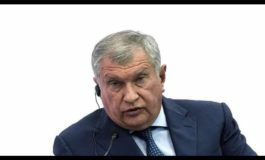 If the pipeline has indeed ground to a halt, it would not be the first failed attempt at a headline construction project in the struggling ex-Soviet state. State media is eager to show off the regime’s achievements, but these have been decidedly underwhelming – indeed, it isn’t unfair to say embarrassing – in nature. Whether it’s the mostly empty 5-star hotel resort in Awaza, the largely unused “Olympic Village” in Ashgabat or the gargantuan equestrian of Berdimuhammedov in gold on display in the capital, Turkmenistan has form on superficial grand gestures that betray a bleaker reality beneath the surface. This is not the only gas pipeline-related debacle, either. Turkmenistan was until recently working on so-called “Line D”, the largest chunk of the Central Asia-China gas network that would have carried 30 billion cubic metres of gas exports from Turkmenistan to Chinese markets. 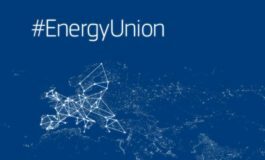 It seems that this project ran out of financial and political steam in 2017, and the cancellation of this project will place extra pressure on Turkmenistan, which is suffering from falling gas prices and a dissipating consumer base. Since the dissolution of the USSR and the independence of the Central Asian Soviet republics (Turkmenistan was declared an independent state in 1991), the Turkic states have lagged economically and in terms of meaningful political and democratic reform. Kazakhstan and Uzbekistan have been making leaps forward in recent years but Turkmenistan has languished. It is unsurprising that foreign direct investment remains weak, whether in infrastructure or in the energy sector: Turkmenistan has a poor record of respecting investors’ rights and a habit of confiscating assets, or simply non-payment of contracts. Prominent examples include Japanese Itochu, which lost its supply of propylene despite its major role in supplying the government with the necessary commodities for oil and gas refineries, simply because the government decided the contract was no longer profitable, and MTS, a telecoms company who arbitrarily had their licence to use the state network revoked. The latter has moved for international arbitration. The Trans-Caspian and Turkmen-Chinese pipeline projects could have granted integration and coherency to a region which for nearly 30 years has sorely lacked it, tying Central Asian energy markets together and linking them directly to the West. They compare poorly with China’s flagship Belt & Road Initiative, which is already yielding significant dividends in the region and connecting Southeast Asian and Far Eastern markets. In contrast the Russian-led Eurasian Economic Union has proved a flop, and America’s “New Silk Road” Initiative seems yet to have taken any concrete form. The Turkmen state is understandably embarrassed about the foundering of these projects, hence the confusion or downright silence of official media sources on the subject of their progress. With apparently abysmal state finances and the absence of reliable and sustained external private investment, Turkmenistan’s status as a weak link in Central Asia’s infrastructural and energy renaissance looks set to continue.